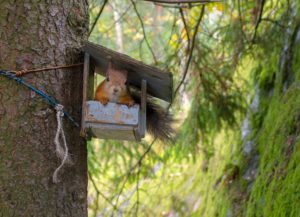 I’ve been observing the red squirrels in my woods as they live up to the verb of their names – squirreling away food in anticipation of the upcoming winter months (they particularly love to “store” birdseed in my perennial beds, but that’s a conversation for another day). I also have a powerful tendency to squirrel. And while I do have a snack drawer at my desk, I’m thinking right now about my rather healthy collection of bookmarked teaching resources webpages. It is from this archive that I’d like to summarize and share two articles. I like considering these two articles in the context of one another because they address the bookends of any class session: the first and final five minutes. I was trained as an educator to think about chunks of 20 minutes when planning a class, given research on attention spans. But when I start with a 20-minute chunk right out of the gate, I’m missing an important opportunity for intentional transition to the class. Likewise, if my focus is on a final 20-minute activity, I may be wrapping up that piece, but not necessarily the whole class session. These articles have changed my teaching practice, and I hope you find some useful ideas, as well. Last semester, I started every class session with a 1- to 5-minute writing activity and then sometimes had students share their ideas with a partner or the whole group. The prompt might be a question to get their gears turning about the focus of the upcoming class or it might be related to previous learning. This writing became a ritual in class. Additionally, students were given the chance to shift, from their busy lives, into the learning environment in a meaningful way. Classroom assessment techniques (CATs) have long been encouraged as useful for both students and faculty to generate a picture of where learning is solid and where more time needs to be spent to promote understanding. The blog post on Disrupting Illusions of Fluency by Desai, McCray, & Todd provides an interesting framework for the purpose of CATs – namely this idea that students may be disillusioned about their own competency, highlighting the need for facilitated metacognition. I don’t think these illusions are intentional by students. This semester, I’ve been taking a weekly strength training class at the Patrick Gym. Having minimal previous exposure to the majority of activities we engage with each week, I am definitely approaching the class with beginner’s mind and body. An observer would probably chuckle, at my “illusion of fluency,” as our patient trainer corrects my form despite my absolute certainty that I’m doing a move perfectly! This disruption of my illusion creates opportunities to then ask questions and make adjustments, which are critical to my progress. In most classes, students’ beginning mastery of content knowledge or a skill is less visible than in my strength training class. Faculty can’t just look at students to assess their progress. Spending the final five minutes of class engaging in a one-minute paper, a muddiest point exercise, or a class wrapper (as described in the blog post) can unveil the areas where students are leaving a class falsely confident about their knowledge and fluency with course materials. With this information, in the very next class, new opportunities can be created for further clarification, hence disrupting the illusion of fluency, replaced by actual fluency and deeper understanding. I end each class session asking students to self-evaluate their participation and engagement. I’ve long understood that I have a fairly narrow view of students’ engagement during class. Therefore, I turn over that portion of the grading to the students. They assign themselves points in five categories (preparation, listening, focus, presence, spoken contributions). More importantly, they respond to an open-ended question about how they have promoted (their own and their classmates’) learning via their participation. Finally, I also ask questions such as “Because of this week’s assignments and/or class, I’m still thinking about/wondering about/want to know more about ….” I write a response to each individual student (in a class of 18, max) and can summarize themes or really insightful reflections in the next class session. By asking students to be transparent about their engagement, they practice metacognition and I have a much more authentic understanding of students’ thinking and learning. Your turn – please comment! What are your ideas for effectively starting and ending class, being mindful of the intentions and suggestions posed in these two articles? 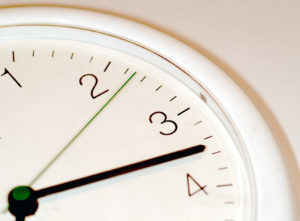 How you can you leverage the power of those 5 minutes?